Hey folks! Last week wrapped up my second teaching assistant commitment, and while I managed to get myself invited back (barely) (I have more to say about this), I’m taking a break to focus on building skills and job seeking. On the menu for today: let’s talk Rails 5. This’ll be short, since I need to dive into it. Since I finished my Ruby on Rails training in 4.something, Rails released a beta version of 5.0, and Ruby has also released a new version, from 2.2 -> 2.3. I’ve fought hard against installing a ruby version manager after disastrous attempts with rvm and rbenv, which hate each other, and will leave your development environment totally FUBAR if you’re not careful. So I nuked everything and avoided any Ruby version control, until now– and now I know better, and there’s no longer any excuse. My instructor says “try chruby!” so chruby it is! So now we have software version control, sweeeeet. However, that version control does not extend to Rails, so how to play with the new version without destroying my current install (most recent stable version)? 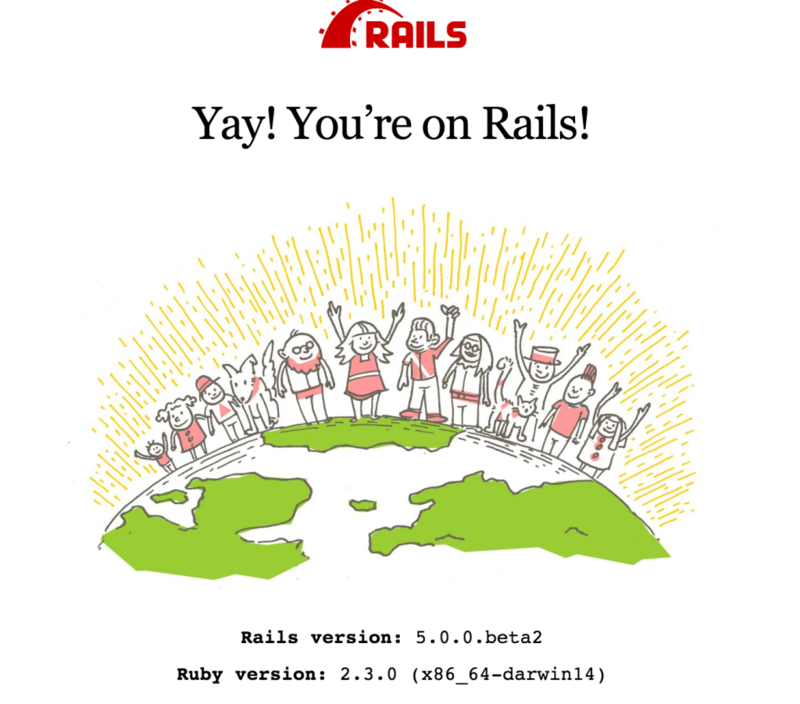 Option 1: Clone the Rails repo and create a new Rails app from that starting point. However, that did not work. This did! I had to run a bundle update after bundle install, but otherwise everything went smoothly. YMMV. Gentle reminder: Rails 5 is not currently recommended for production environments.